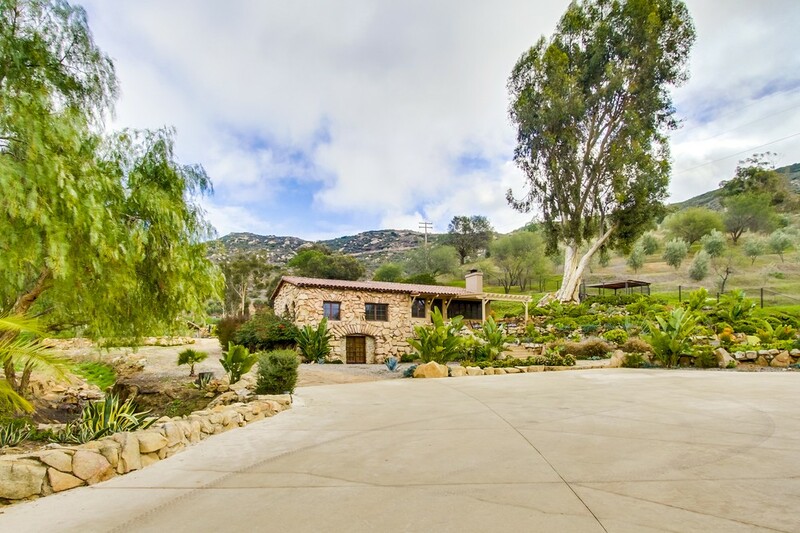 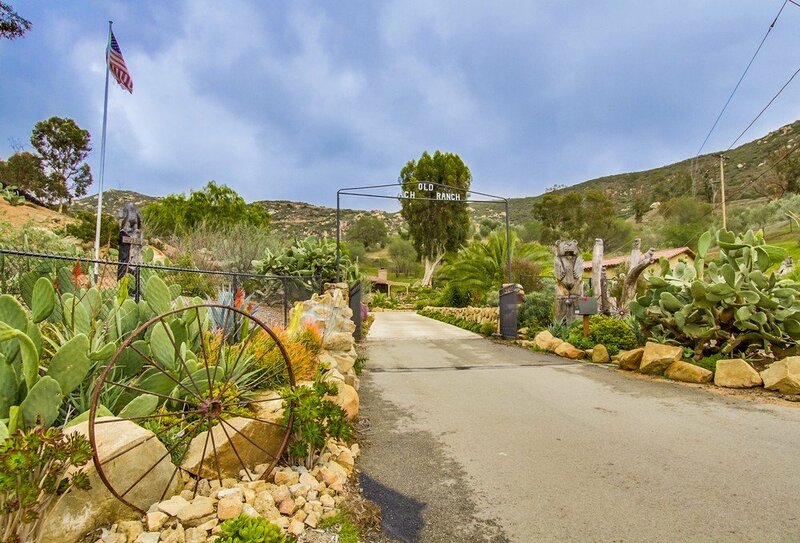 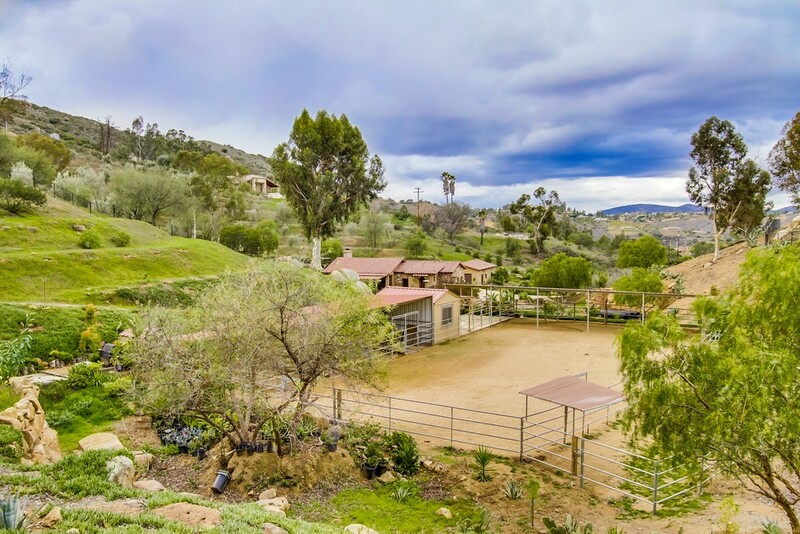 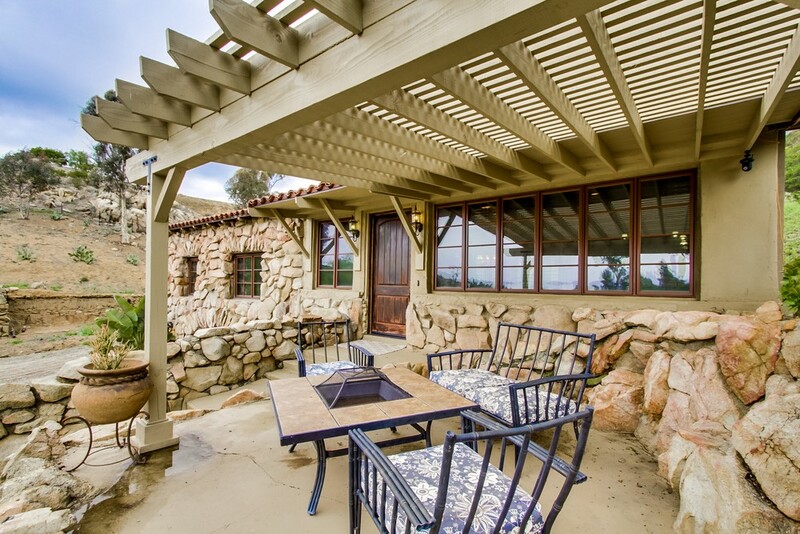 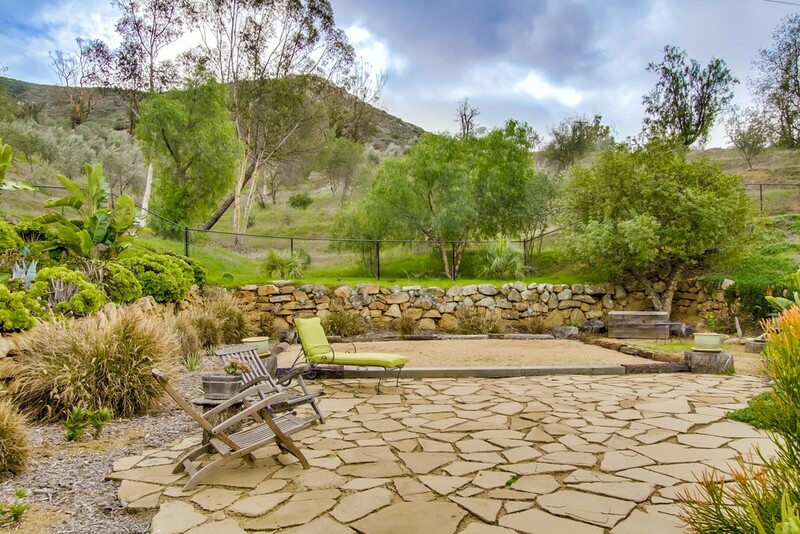 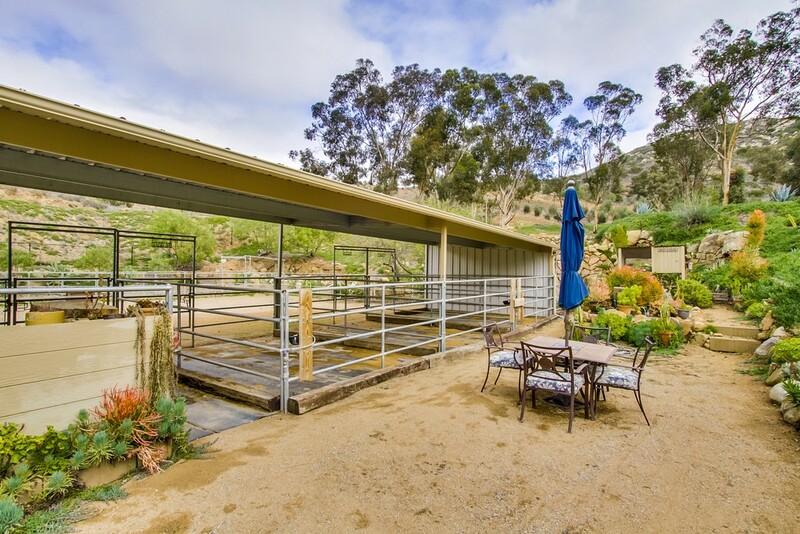 The charming and rustic Old Coach Ranch is located in Old Coach Estates; a private community of custom homes minutes away from Poway Unified schools, medical, shopping, businesses, and freeways. 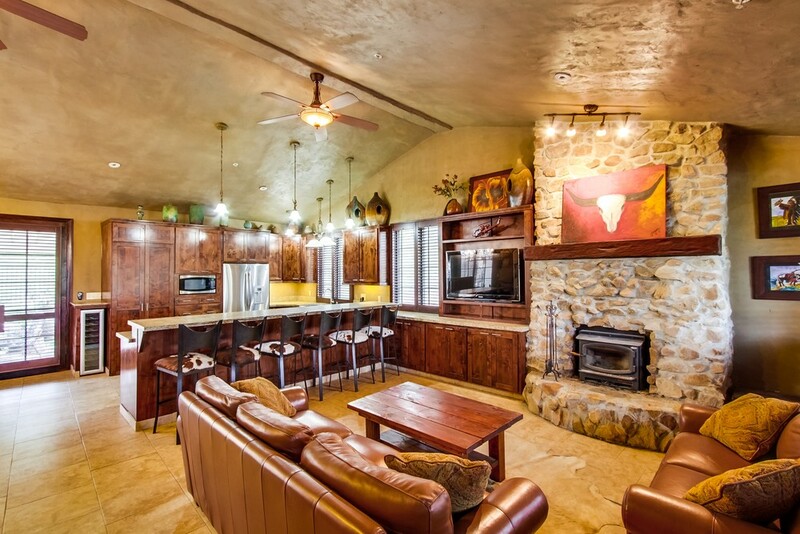 The ranch was originally established in the early 1900’s and in 2010 was rebuilt as a 2108 square foot home. 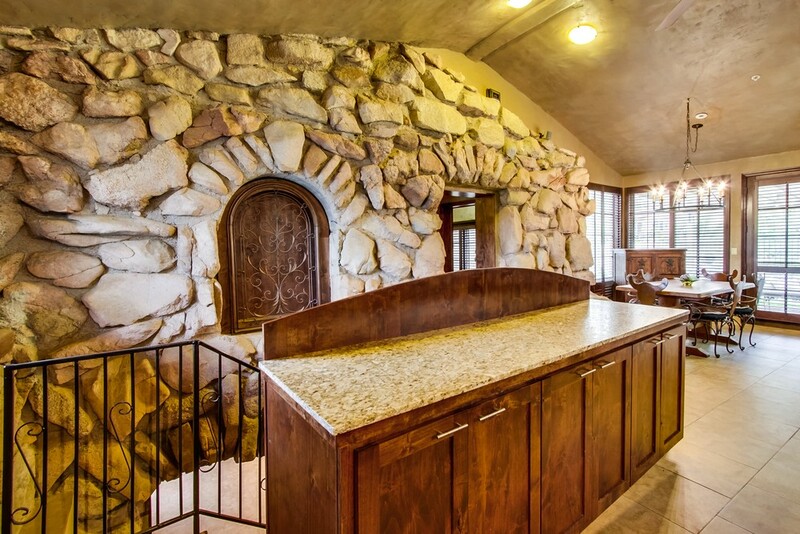 The house still has the original rockwork incorporated into the ranch design. 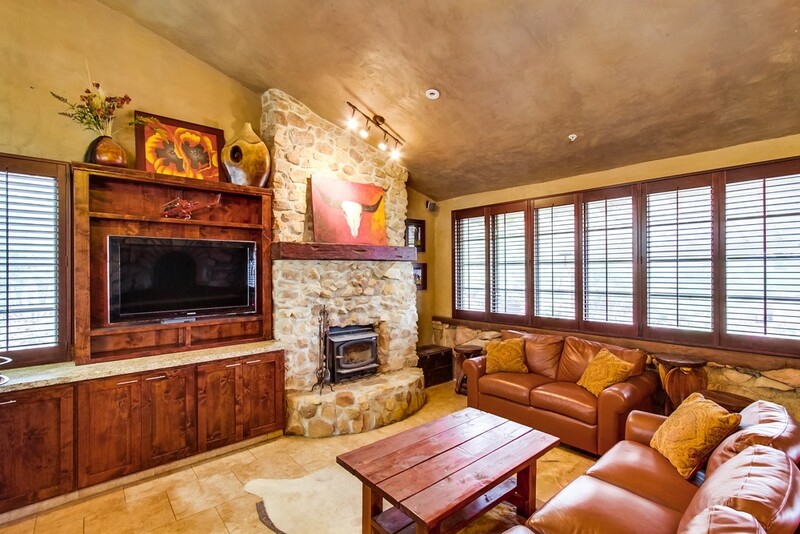 The upstairs is 1434 square feet with an additional 674 square feet of open finished basement space below. 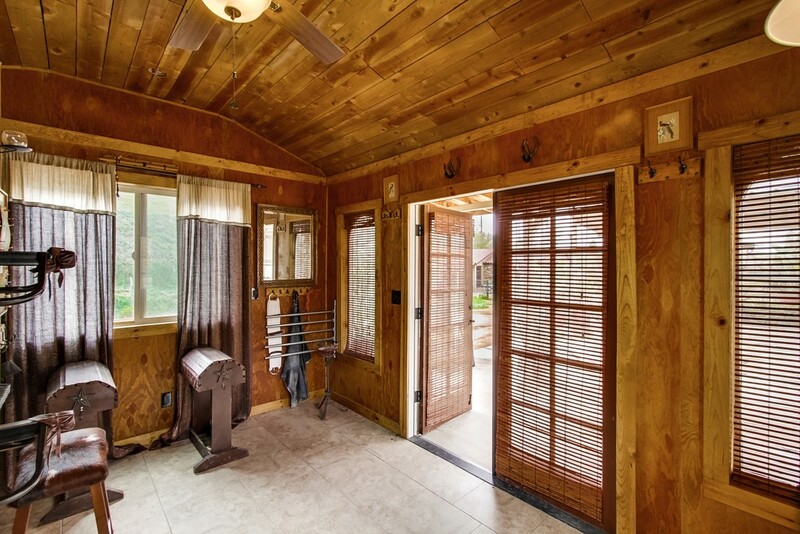 In addition, there is an 864 square foot detached garage, per the as-built plans. 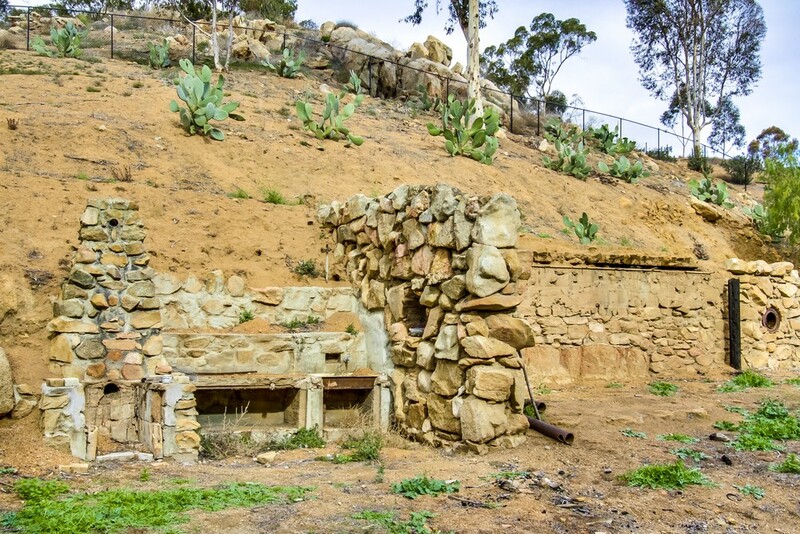 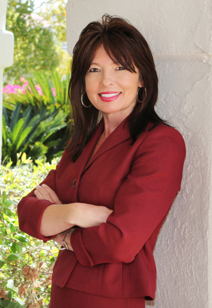 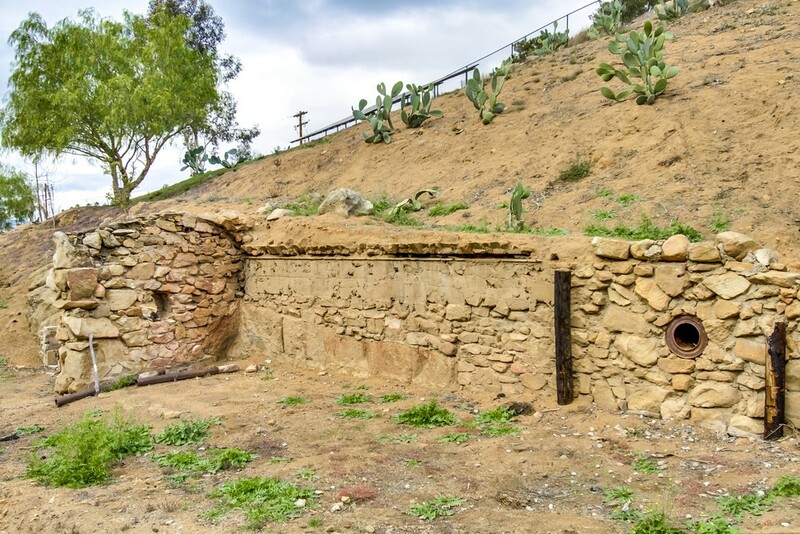 Since the home is classified as a guesthouse by the City of Poway, a second home could be built on one or two existing pads or another bathroom bath could be added to the existing downstairs. 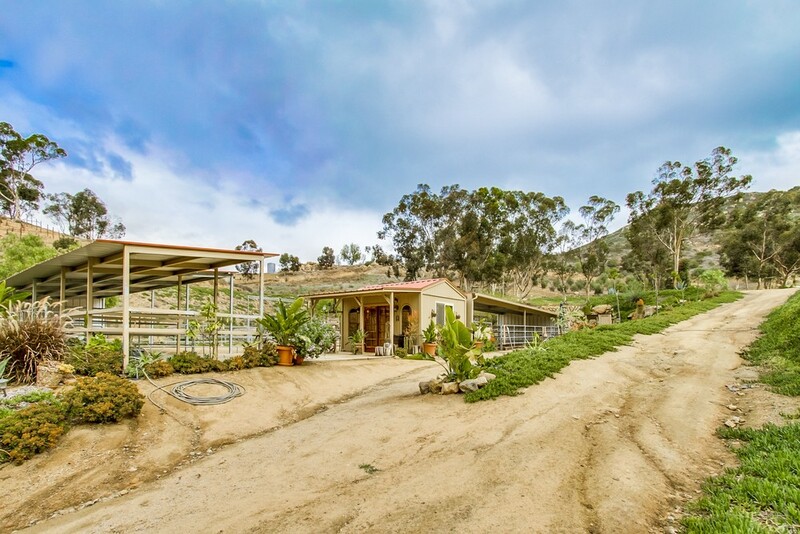 The possibilities for this four acre property are numerous, with no CC&Rs. 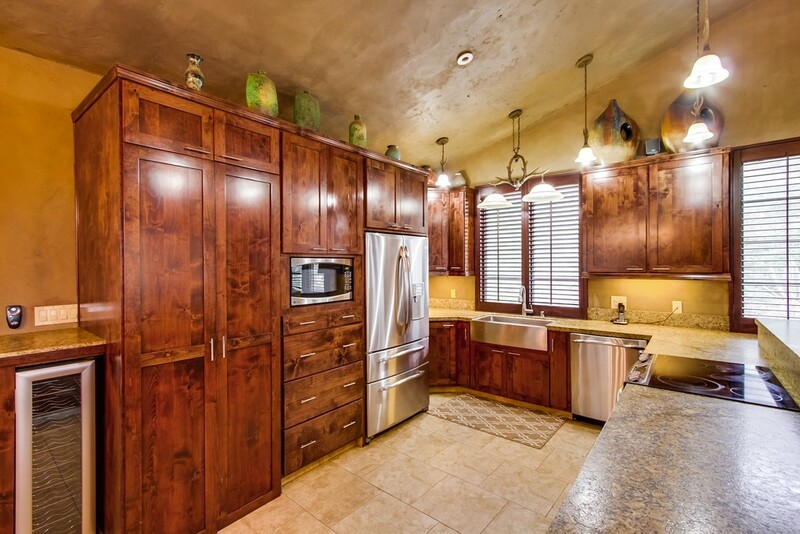 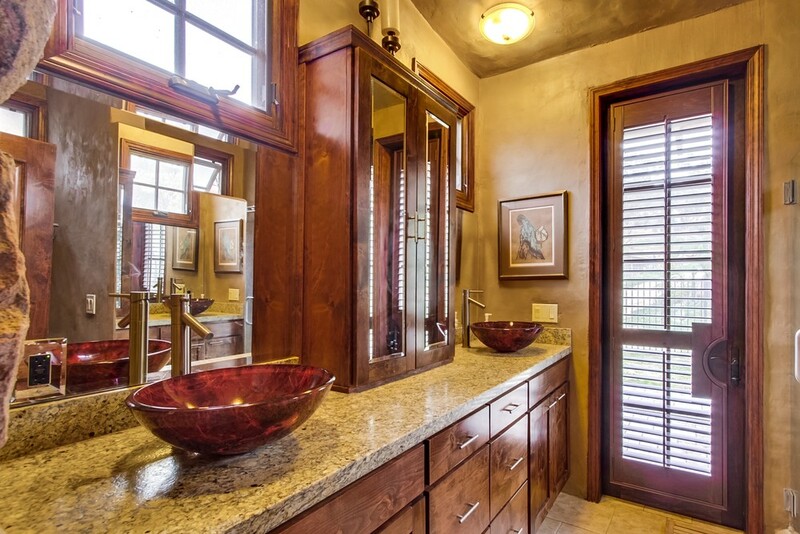 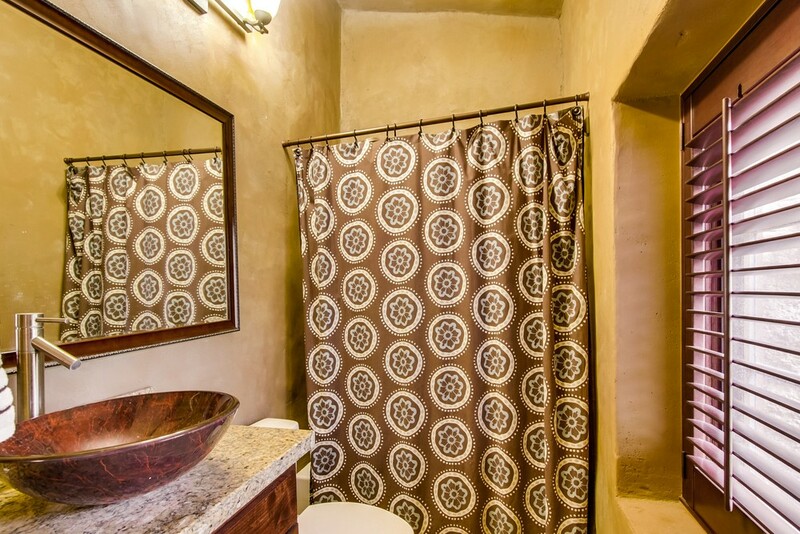 The custom kitchen and bathrooms all have brushed granite counter tops. 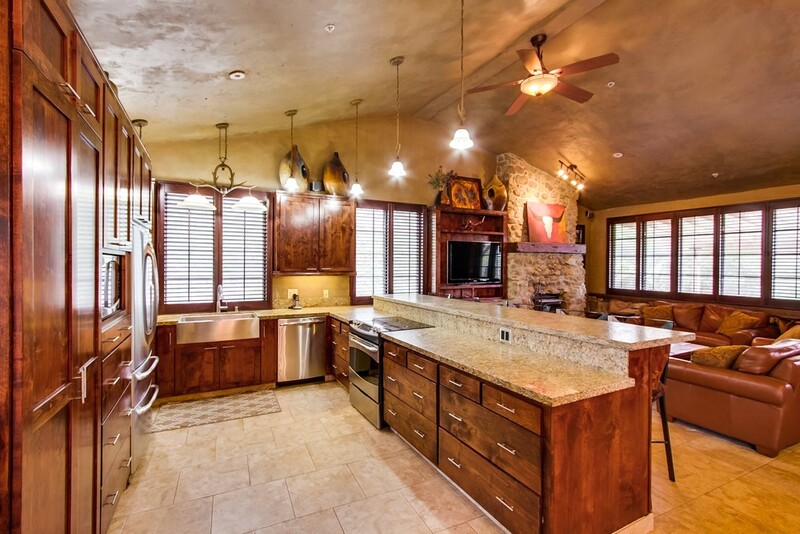 Stainless steel appliances and fixtures; custom knotty alder cabinets; and custom woodwork all work together to create a modern ranch look in the kitchen, bathrooms, and house. 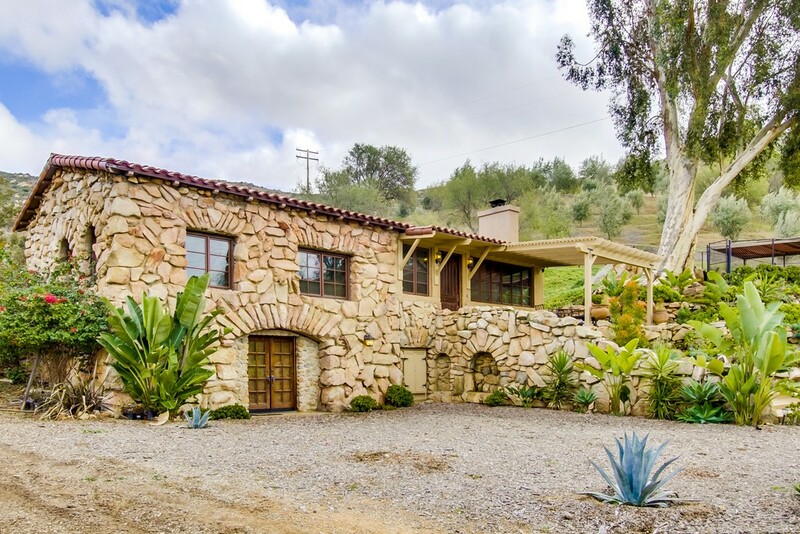 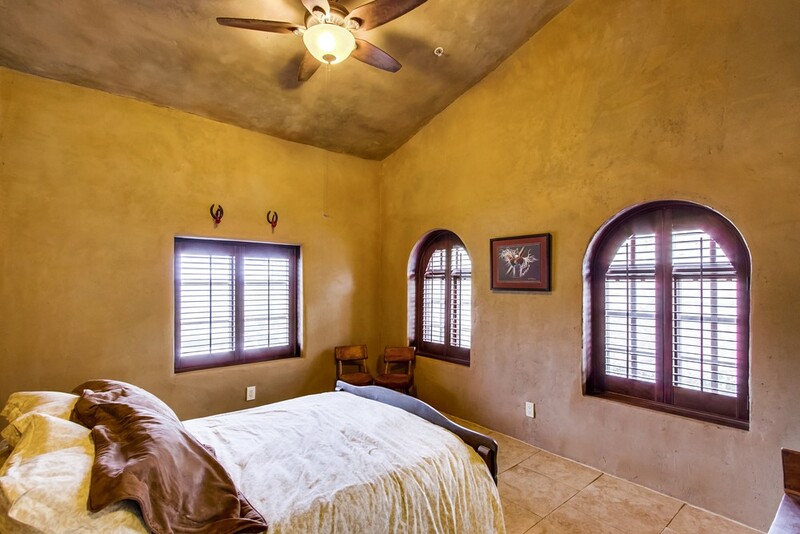 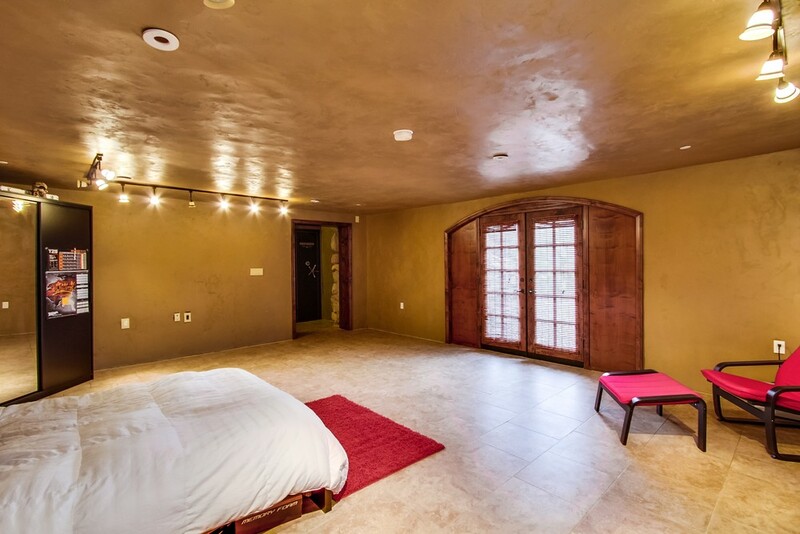 For additional fire safety, the entire house is concrete and or rock and has a coordinated rustic tile roof. 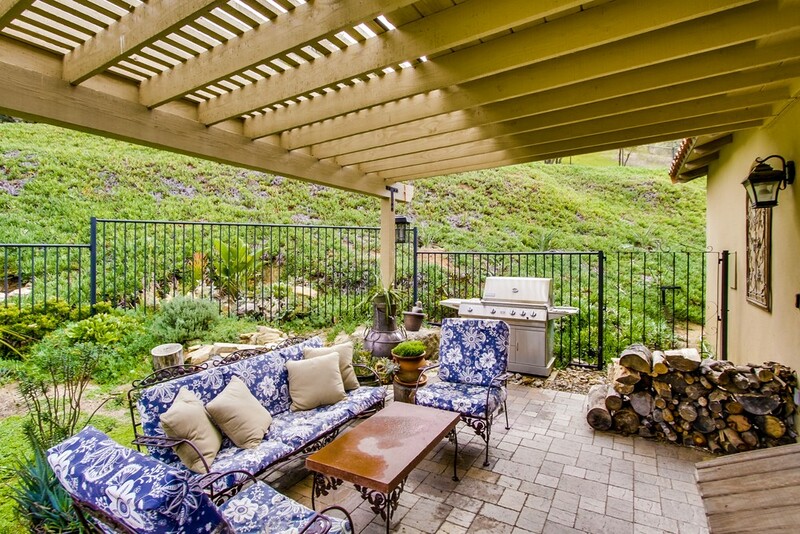 There is a covered patio in the front yard and one in the backyard. 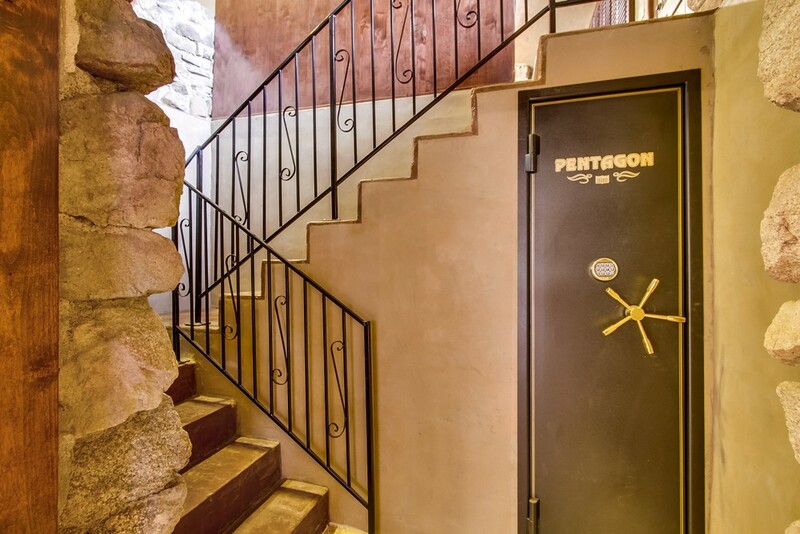 A built-in safe could be converted to a custom wine cellar. 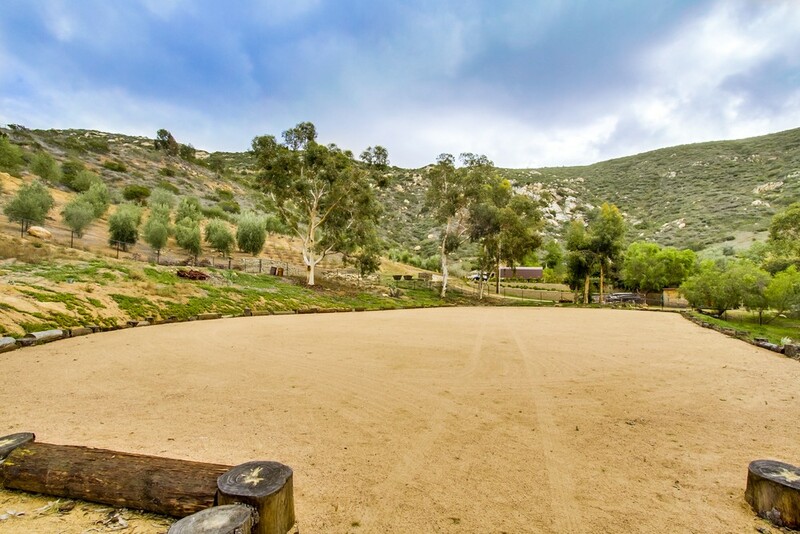 The Old Coach Ranch has scenic and serene property surrounding it. 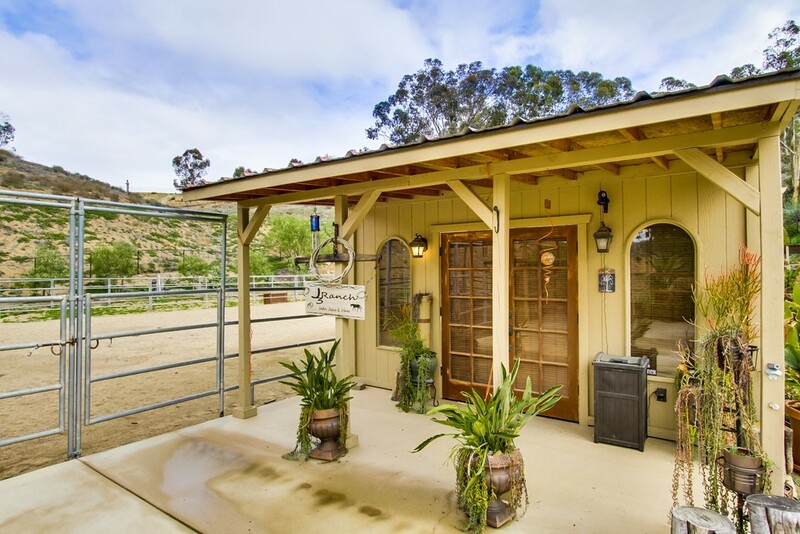 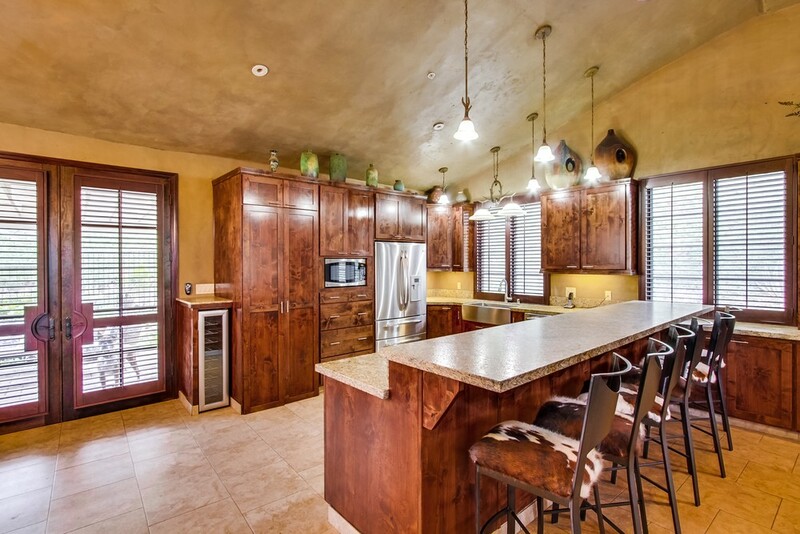 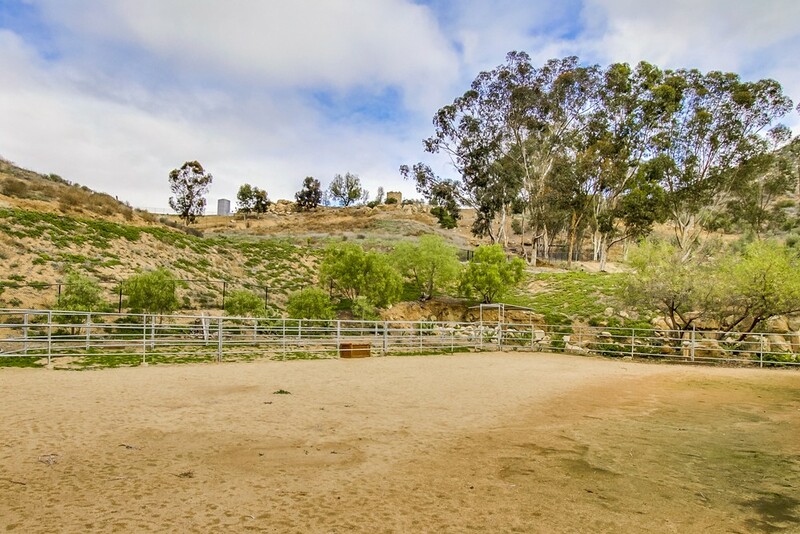 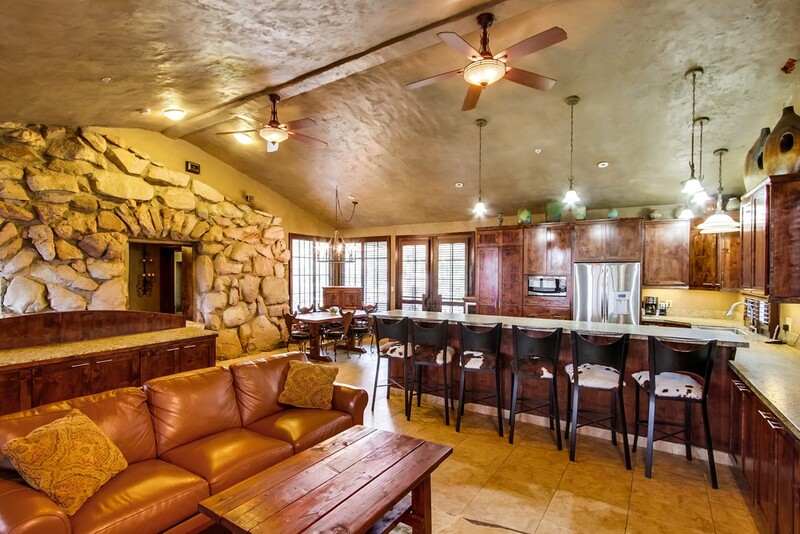 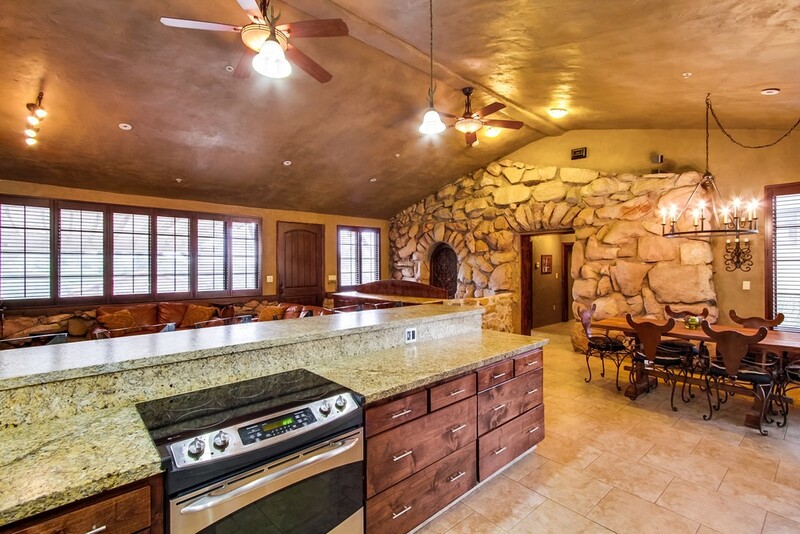 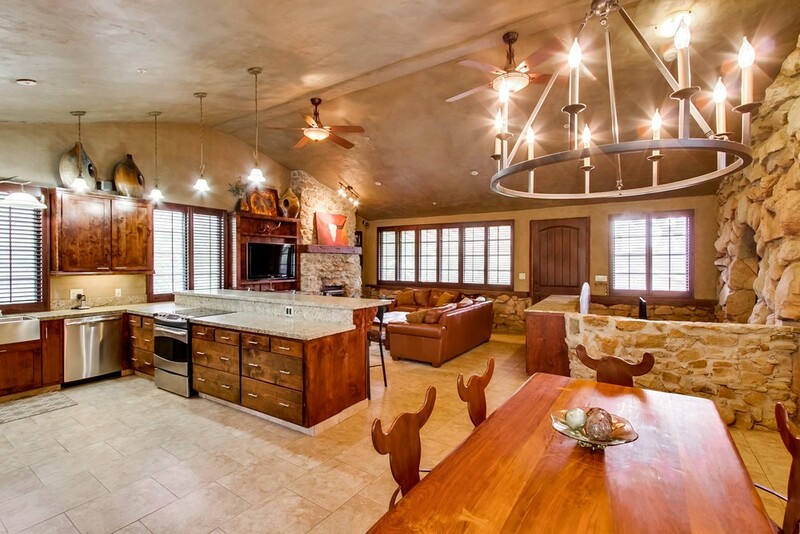 It has horse facilities with a custom tack/art room; large sand arena; and the entire property is gated and fenced. 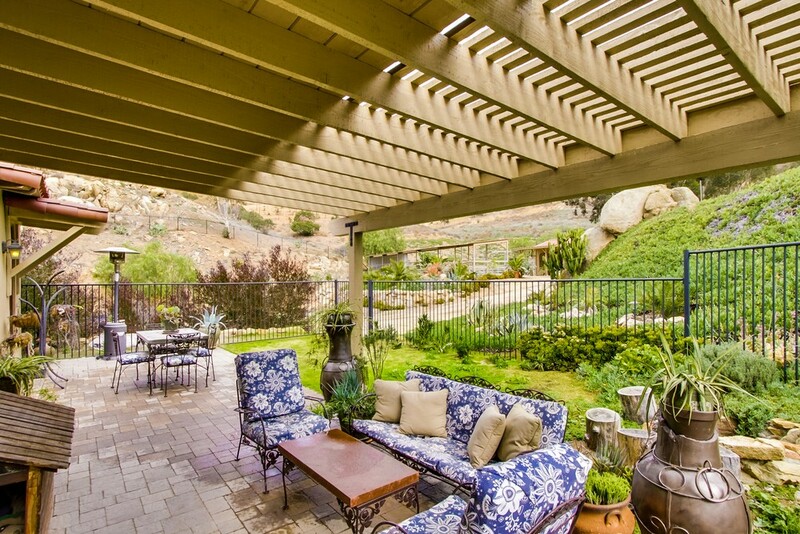 Landscape consists of drought resistant Southwest cacti and succulents. 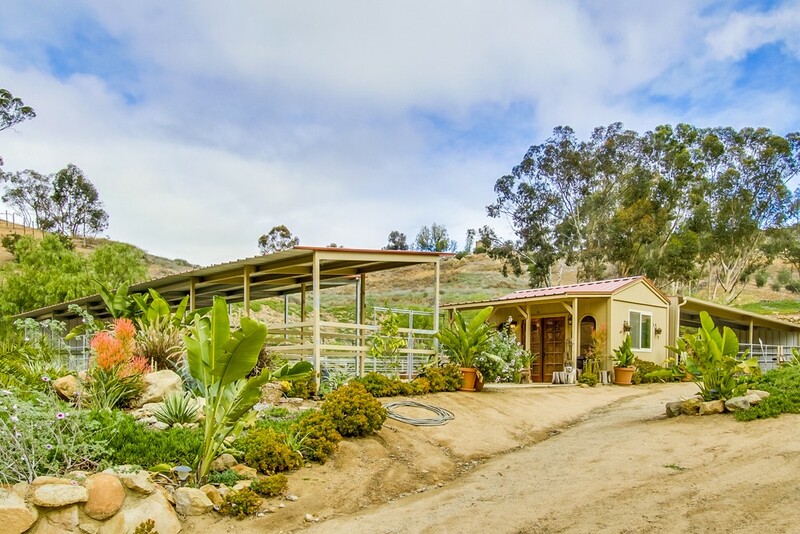 There are numerous pepper, eucalyptus, pine, and fruit trees throughout the entire property.